A producer and director known as much for the love and loyalty of his famous friends and family as he was for his groundbreaking and progressive TV work, Bruce Paltrow struck an exemplary balance between his public and private lives. His work on shows such as “The White Shadow” and “St. Elsewhere” influenced a generation of television dramas. More recently, he became known as the beloved father of Oscar-winning actress Gwyneth Paltrow, who has credited him for crucial personal and professional support. Bruce Paltrow was born in Brooklyn , New York on November 26, 1943 . He studied painting at Tulane University , but later moved back to New York , where he became interested in theater. As a young producer, Paltrow won a Tony Award for Butterflies are Free and produced several other plays on and off Broadway. It was in rehearsals for one of those productions, the 1969 play Someone’s Comin’ Hungry, that Paltrow met actress Blythe Danner, whom he married in 1970. Danner became his partner in art and in life—and Paltrow’s anchor when things got rough or heady. In a 1970 interview quoted in his New York Times obituary, Paltrow compared himself and Danner to celebrity couples of the time, saying, “We’re not Andy Hardy types, but we’re also not Vanessa Redgrave and Franco Nero… We’re more like Joanne Woodward and Paul Newman.” Danner’s loving correction: “Oh no, honey. We don’t even know those people. We’re just us.” Perhaps the pair’s combination of dedication and level headedness served as a foundation for their long marriage, which was known to be one of the most solid in Hollywood . In the 1970s, Paltrow and Danner—by then the parents of Gwyneth and Jake—moved to Southern California , where Paltrow began working at Screen Gems, a division of Columbia Pictures. His first success there came with the TV movie Shirts/Skins, a sports comedy in which a group of six businessmen turn their weekly pickup basketball game into an increasingly wacky treasure hunt. Paltrow continued the sports theme with the 1978 television series “The White Shadow,” starring Ken Howard as a white NBA pro who becomes the basketball coach at a mostly black inner-city high school. In its three years on the air, the show—which Paltrow wrote, directed, and produced—won two Emmy nominations and earned Paltrow a reputation for smart, socially conscious TV. In its six years on the air, “St. Elsewhere,” which followed the staff of St. Eligius, a run-down Boston teaching hospital, as they faced work and personal challenges, won four Golden Globes, three awards from Viewers for Quality Television, and 13 Emmys (out of a staggering 63 nominations). The show, which launched the careers of actors Denzel Washington, Ed Begley Jr., and Mark Harmon, is seen as the forerunner of modern medical dramas such as “ER,” “Chicago Hope,” and “Presidio Med” (the latter of which starred Paltrow’s wife Danner). Along with Steven Bochco’s “Hill St. Blues,” which was written just one flight up at the MTM building in Studio City , “St. Elsewhere” set a new standard for television. Combining drama and comedy, the shows featured multiple interwoven plot lines in each episode. Though network executives were unsure how audiences would respond to complex, character-driven work that blended drama with black humor, the show was a hit. [were] dog-eared. I snuck a look, and every page but the title page was dog-eared. Bruce began, ‘Page one is very funny; unfortunately, this is a drama… Page three is very well-typed. On page four I don’t know where we are.’” With humor and rigor, Paltrow got the most from his writing staff, and it showed. “St. Elsewhere” was also known for its treatment of previously taboo medical subjects, including testicular cancer and AIDS. 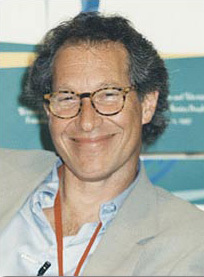 The former episode ran into trouble when network censors, fearing viewer reaction, wouldn’t let writers use the word “testicles”—but Paltrow fought and won that battle, recalls writer Tom Fontana in the Written By interview. In the end, he explains, “the only letters we got were from young men who had done the self-examination explained in the show, found a lump, gone to a doctor, and gotten cured.” The series went on to win an award from the Humanitas Foundation for such breakthroughs. 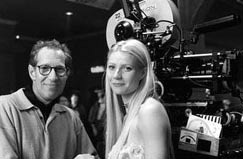 In 1999, just a few months before he was to direct his daughter Gwyneth in Duet— his return to feature film—Paltrow was diagnosed with throat cancer. After a treatment of radical surgery and radiation, he returned to the Duets set after only 13 days. By the time the film was released in 2000, Paltrow was declared in remission. On October 3, 2002 , Paltrow was celebrating his daughter’s birthday with her in Rome when he died suddenly from pneumonia and complications associated with recurrence of the cancer he first fought two years earlier. He was 58 years old. He is remembered as a maker of high-quality television that changed lives and as a loving husband, father, and friend. In 2003, Steven Spielberg, Paltrow’s closest friend for 30 years, dedicated his film Catch Me if You Can to the memory of his great friend and compatriot. 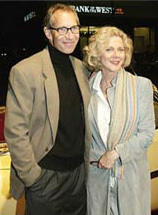 In 2005, Paltrow’s wife, Blythe Danner, began a relationship with the Oral Cancer Foundation. She graciously donated her time to film a very well received public service announcement on the need for early detection of oral cancers, which played on TV stations nationwide. In 2006 she again partnered with the foundation to continue her call for early detection and public literacy regarding oral cancer. During this partnership she did print interviews with People Magazine and Woman’s Day, and TV interviews on Good Morning America, and Entertainment Tonight. Her efforts to help others through awareness and early detection keep the memory of her husband alive, and will positively impact millions of people that have come in contact with her message.